The Mondzeu apartment is extremely popular with our guests, can be split into 2 apartments, 239 sleeping 4/6 and 238 sleeping 6/8. It is very comfortable, ideal for groups. It has the added benefit of a private Swimming pool and Sauna situated within the complex. Available to guests for a small additional charge. You can enjoy the benefits of a relaxing swim or a work out in the fitness room. The views from the apartment are excellent, with the ground falling away you can see across the valley to Bruson and the mountains beyond. The apartment is situated just off Place Centrale, right in the centre of Verbier, close to all the clubs, pubs and restaurants. A two minute bus ride brings you to Medran the main lift or if you feel energetic a 5 minute walk. 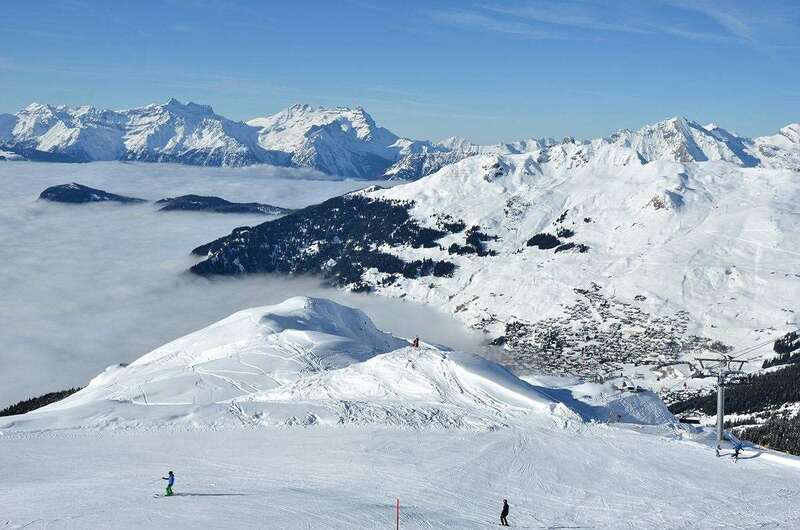 You can ski all day, returning past several of the most popular bars in Verbier back to the apartment each evening..
Chalet is available on a catered basis as well as self catered basis.